Hi Mom, I know you read the website (you’re the bright Austrian spot showing up on the Analytics map!) – but please skip the rest of this article! All other Moms please keep reading – you hopefully will enjoy the latest project out of my studio! Austrian Mother’s Day will be in May so it was about time to think about a Mother’s Day Card! 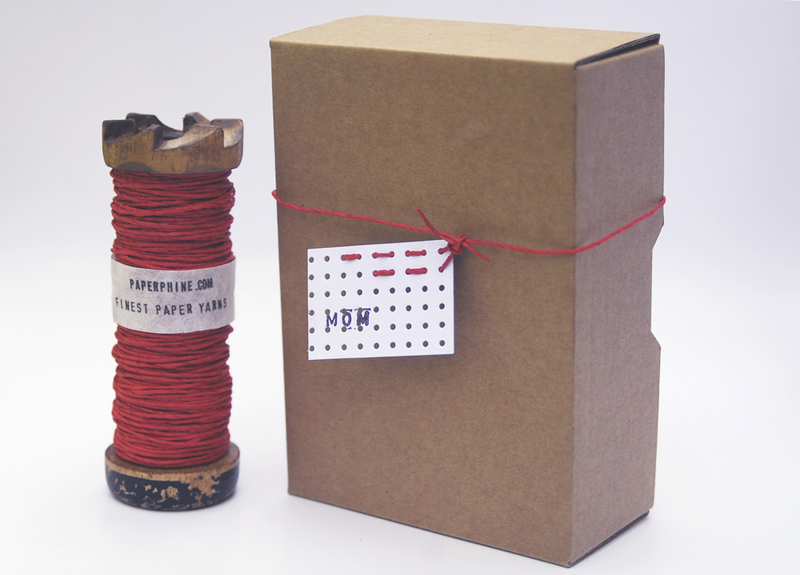 Working with the current two favorite materials on the studio desk – Red Paper Twine and Architect’s Cardboard with Holes – I came up with this easy and quick to make card that is stylish, quirky and will hopefully find a special place on my Mom’s wall once it’s framed! 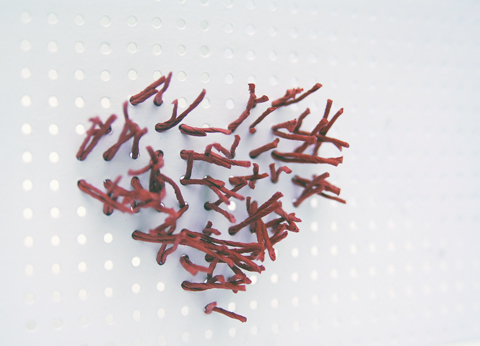 After “stitching” and threading the whole heart with pieces of twine you can cut the spikes to the desired length and bend them so the heart shape looks fuller and redder. 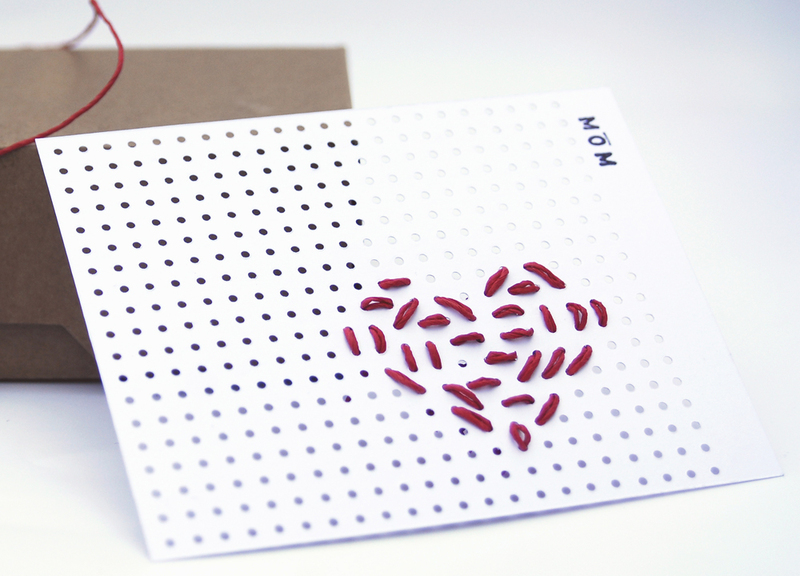 Finish off the card with a small imprint saying “MOM”! 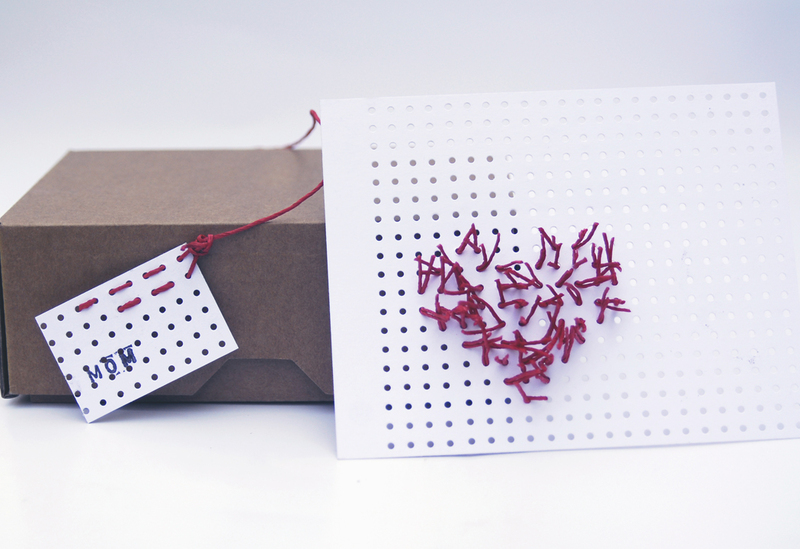 Leftover pieces of cardboard and cardboard can be made into a nice tag that goes with the card and personalises the cardboard box containing the card! Wishing you all a wonderful Easter weekend with a lot of chocolate eggs, sunshine and creative energy for all your projects! Hallo Bettina, vielen Dank für den lieben Kommentar. Meine Mutter hat natürlich doch geguckt und will nun eine andere Muttertagskarte – mal sehen, was sich Schönes zaubern lässt!